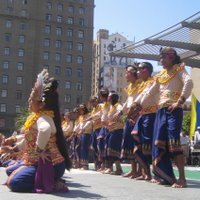 We went to the Indonesian Day festival in Union Square in San Francisco this weekend to try some Indonesian treats and to check out the gamelan performance. 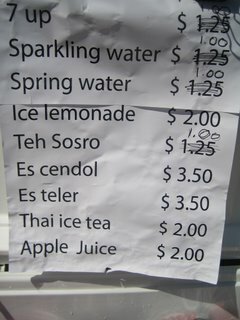 It was a hot day in the city, so I cooled off with an interesting beverage from one of the stands. 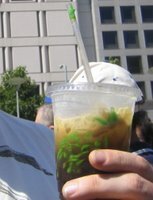 Es cendol is a popular dessert/ beverage in Southeast Asia. 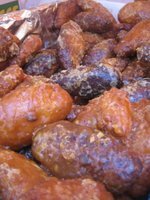 It is an iced beverage made from gula melaka (coconut palm sugar), coconut and jelly. 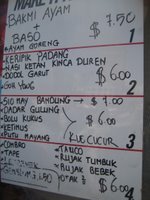 "Es" refers to the ice and "cendol" refers to the coconut, palm sugar, and pandan jelly dessert. 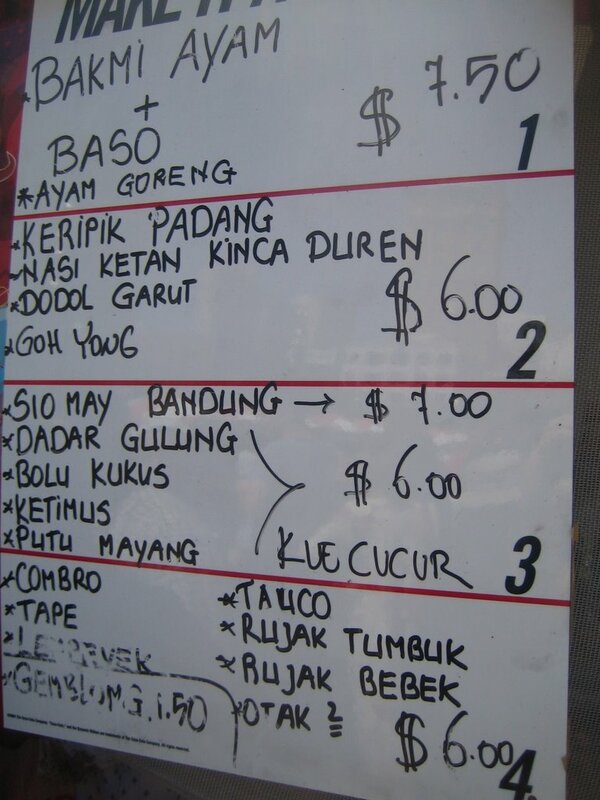 My es cendol was extremely sweet and also quite salty. 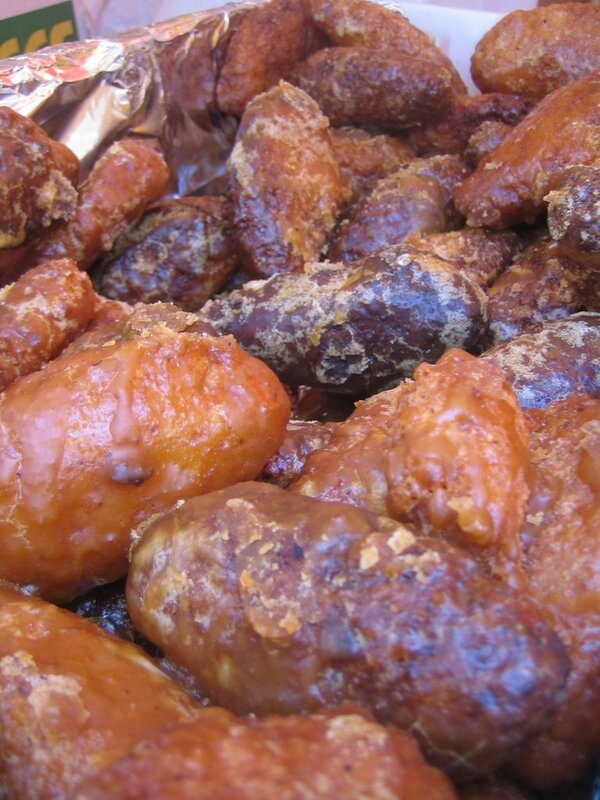 It tasted like brown sugar, salt, and coconut milk. I would love this drink if I were able to customize it to my preferences. More coconut, and less salt and sugar. I loved the green jelies that floated in the drink. 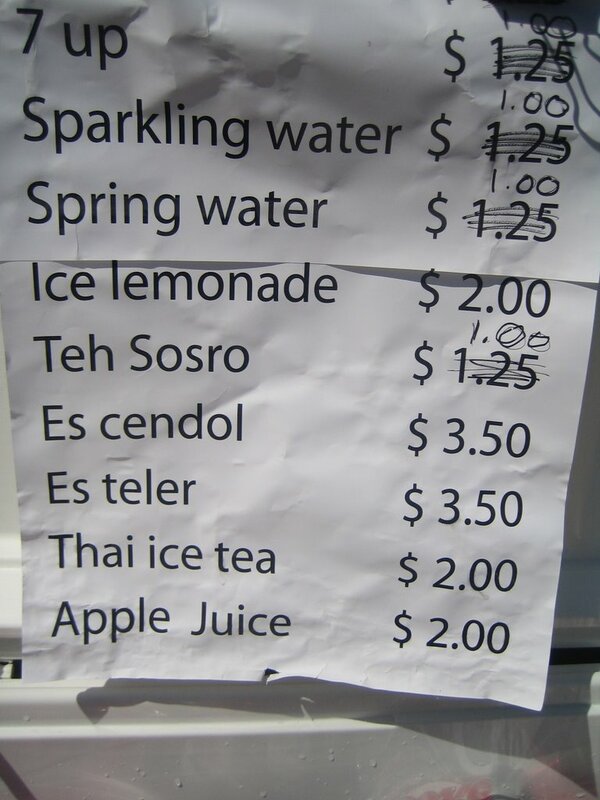 Our pal Pushkin, who lived in Singapore for many years, told us that in Singapore es cendol is often served in a bowl, rather than in a cup with a straw. 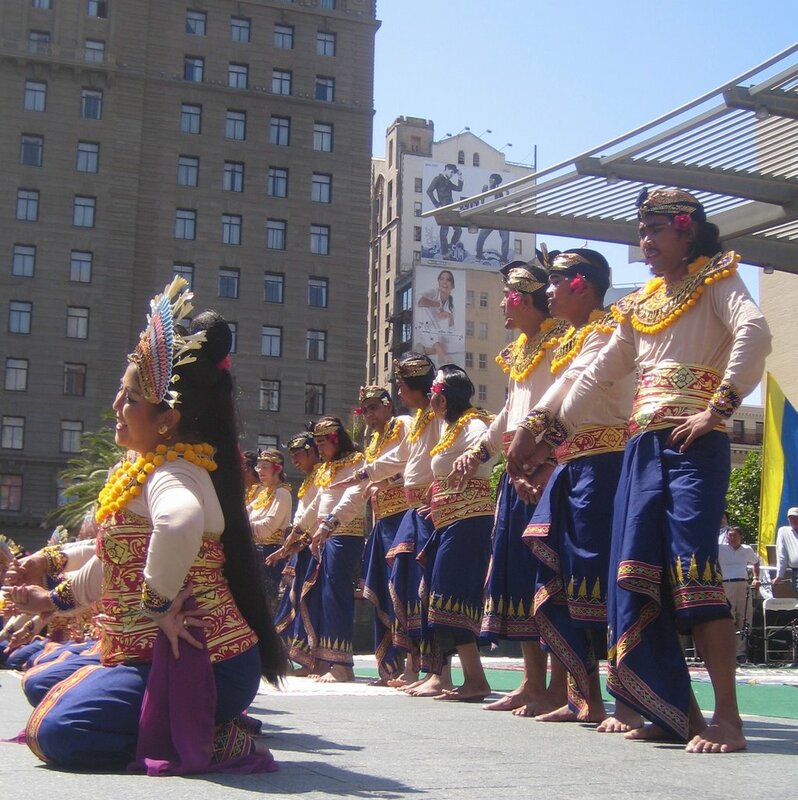 Tune: Nasib Muara Kuang by Shahilin & Siti Rohamah from Music of Indonesia, Vol. 20: Indonesian Guitars Sahilin is a blind guitarist who is accompanied by siti Rohamah on vocals. 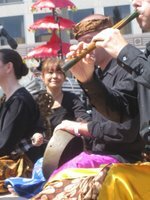 They have been playing together at parties and festivals for over thirty years.